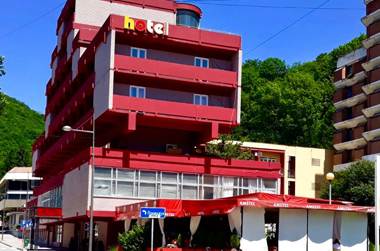 Golden Inn Hotel is located in the city center of Majdanpek, in Eastern part of Serbia, at the area of Homolje Mountains and the National Park of Đerdap. Golden Inn Hotel offers its guests 31 accommodation units, 4 of which are single rooms, 21 double rooms, 2 family rooms, 4 suites, with maximum capacity of 62 guests. 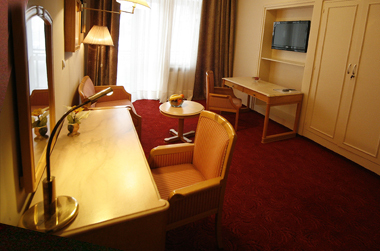 All rooms have modern bathrooms, mini bar, air conditioning, cable television and Wi-Fi. Most of accommodation units have a balcony or terrace. City of Majdanpek is located in eastern part of Serbia on the territory of Kučaj mountains, Homolja and Djerdap gorge. 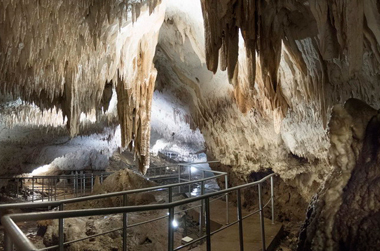 It is located 190 km from Belgrade, and 100 km from Pozarevac. Elevation of the city is 350 - 400 m, and is surrounded by oak, beech and maple woods and mountains. This district is characterized by undulating, hilly land and gentle rolling slopes.